DoubleTwist introduced a free media player application for Google Android phones, which rivals the default media player on the platform. 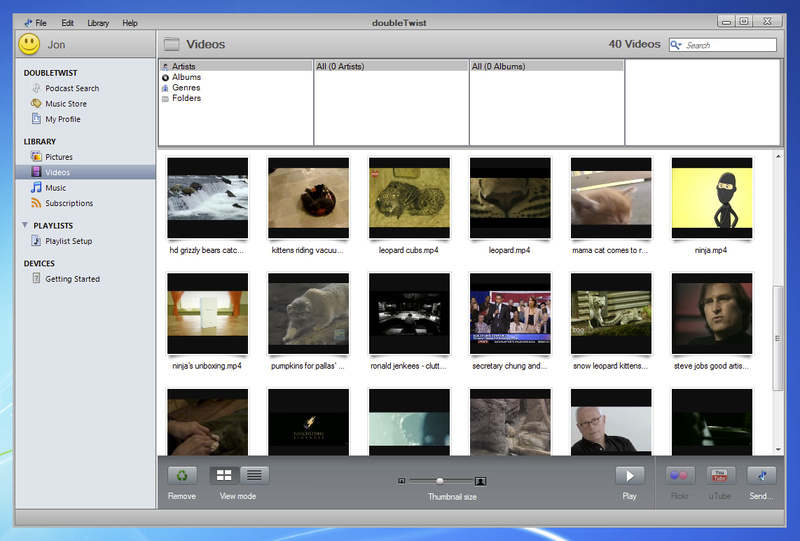 DoubleTwist's app not only plays music and videos in a clean interface, but also has a desktop counterpart for iTunes-like syncing. The Android operating system has been missing an easy-to-use desktop syncing application for your music, photos and videos, something that iPhone users have been enjoying from the start with Apple's iTunes. DoubleTwist's free Android app aims to solve this issue with a new mobile app for Android, and desktop counterparts for both PCs and Macs. 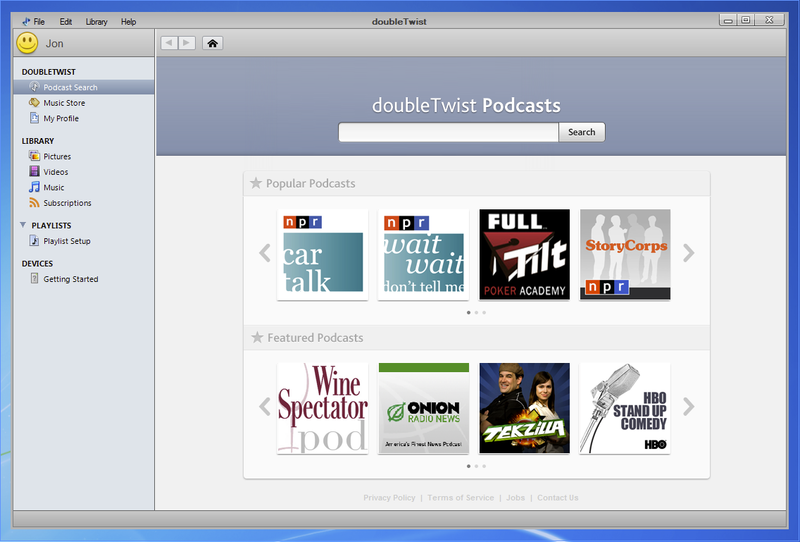 DoubleTwist's Android and desktop apps work together in a similar way to iTunes syncing on the iPhone. You can transfer your song ratings and play counts with your iTunes library songs, playlists, as well as videos and podcasts. 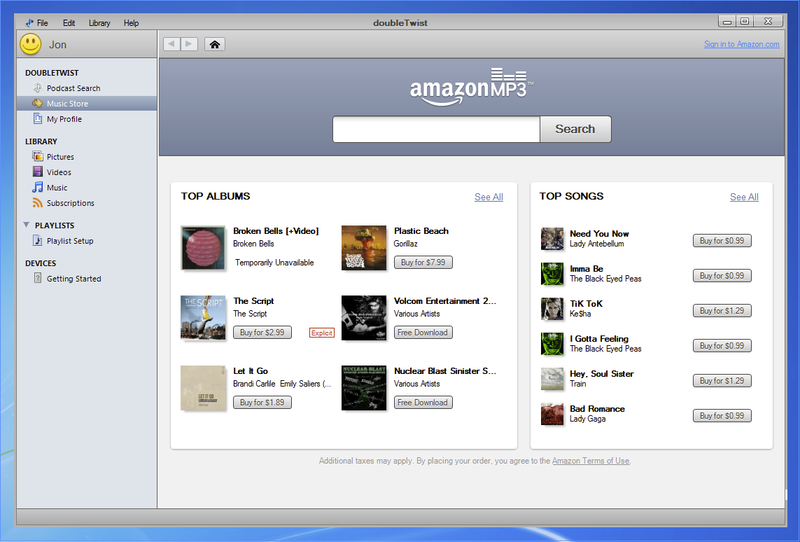 The interface of the player and the desktop app is also very Apple-esque, so if you are used to iTunes, using DoubleTwist's should be a breeze. The DoubleTwist app for Android is available now in the Android Market, free of charge, only for a limited time. There is no home screen widget yet to control music playback, but the company said it is working on one already. Since the app is free, feel free to take it for a spin, as the interface is very polished and easy to use. Is the future of music wireless? Google did not make many improvements to the default Android media player since the version 1.5 of the OS, but the search giant intends to make traditional music syncing via cables obsolete. Google demonstrated at the I/O conference last month a feature within the Android Market that will allow users to download music wirelessly straight to their phones. The Google demo also said that your music stored on a desktop computer or laptop would be made available to your phone via a wireless streaming connection. There are no details so far as to when this service would become available, but this would explain why Google did not put a lot of effort into traditional music syncing services on Android. However, considering increasing costs to mobile data introduced on Wednesday by AT&T, and expected to follow through to other carriers as well in the near future, cable syncing from your computer to your phone seems to be a much more inexpensive solution at the moment.